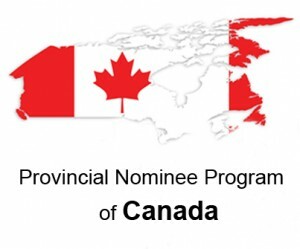 What is provincial nominee program of Canada (PNP)? Most of Canada’s provinces have the authority to nominate applicants (for migrate to Canada) who they think are apt/suitable for their province’s permanent residency program. Their selection criteria may vary, but it is based on the same principle, that of the potential for contribution to that province’s economy and suitability to the economy and similar such aspects of the applicant/candidate to/for the province. But, it is also true that even after the provincial nominee has chosen the candidate/applicant, the province has still to nominate candidate/applicant to the federal authority, ‘Citizenship and Immigration Canada’, (CIC) to enable a decision about whether any applicant can become (or, is allowed to become) a permanent resident (i.e. be an Immigrant to Canada) or not. It is also true that each province has its own and independent nomination criteria for the/its permanent residency program. These guidelines, it is also true change without notice. This being so, the only choice for a candidate/applicant is to update himself/herself with these changes regularly, if he/she is keen to migrate to Canada and/or to the Province. 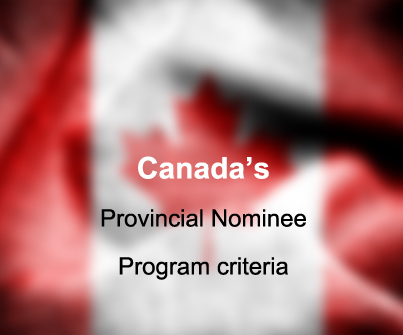 The Canada’s Provincial Nominee Program criteria (or, the list of criteria) that each province uses depends upon that province’s needs (i.e. its own needs), which differ from ‘province to province. Thus, the AINP (Alberta Immigrant Nominee Program) offers options for both types of workers: skilled and semi-skilled workers. In addition, there are options of whether one can apply on the applicant’s own, or with the applicant’s employer.